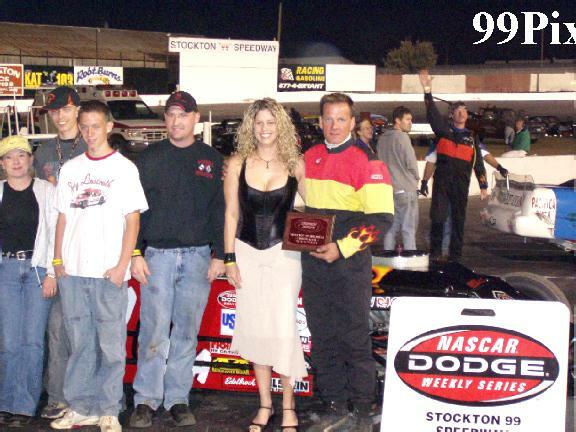 Dave Byrd won his 39th career main event at Stockton 99 Speedway with an unknown 18-year-old breathing down his neck Saturday night. 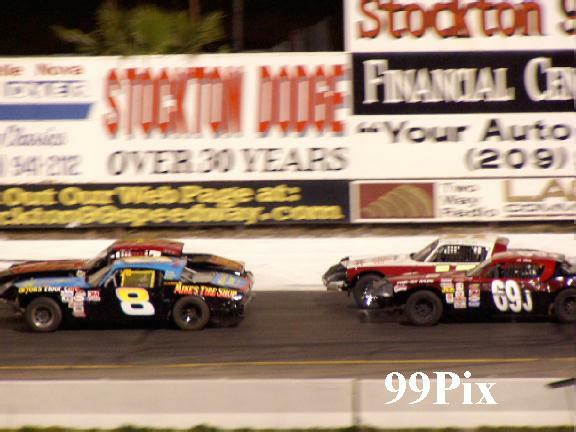 Byrd, #9, of Monterey, took the lead from #5, Stockton driver Pete Anderson Jr. in the straightaway on lap eight and pulled away in front of 1,197 fans. Byrd was thankful it was a 30-lap race. "If it had been a 40-lapper, who knows?" he said. "We had a great car. That kid, Eric, he was coming, though. He ran a good race." 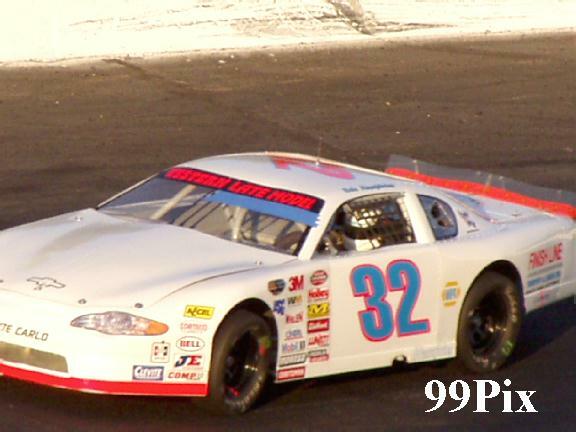 Eric Humphries, #32, turned 18 two months ago, but he's proving he belongs with the veterans in the Western Late Model division. He debuted with a seventh-place finish in the season opener on March 28 and backed it up with a runner-up finished Saturday night. 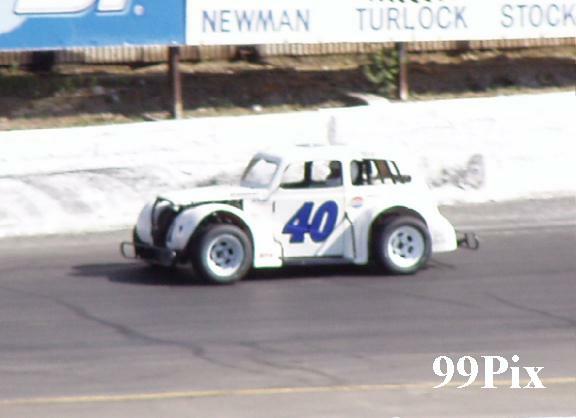 Humphries, a former go-kart national champion who spent his early years in Stockton before moving to Chowchilla, began pressing Anderson for second place. 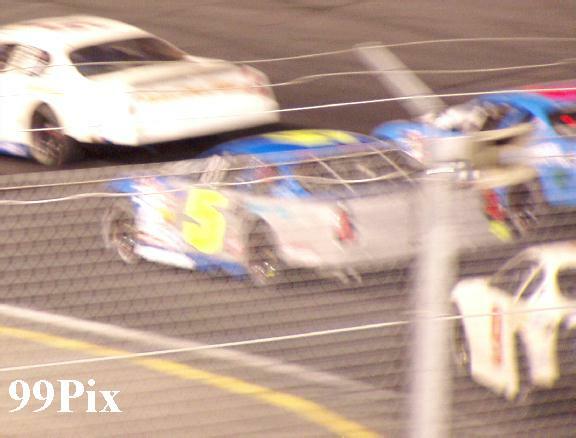 They touched on lap 24, and Humphries passed Anderson on the inside of turn two on lap 25. 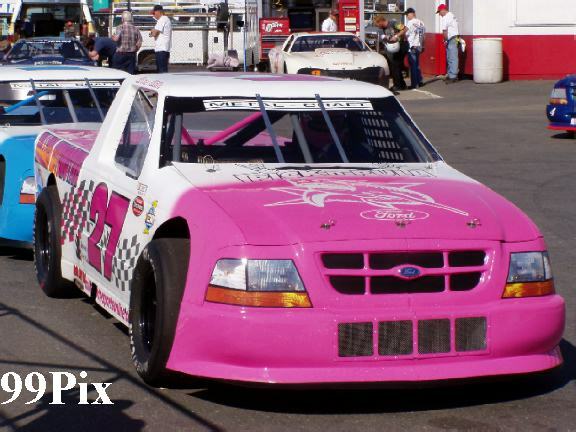 "We want to get rookie of the year and possibly track champion," said Humphries, who raced in the Super Truck class last year at Irwindale. Humphries has made big moves in his first two races, but he still didn't quite have enough for Byrd . The No. 9 car owned by Tim Gillit of Lathrop, who was ill and stayed home, was quick. 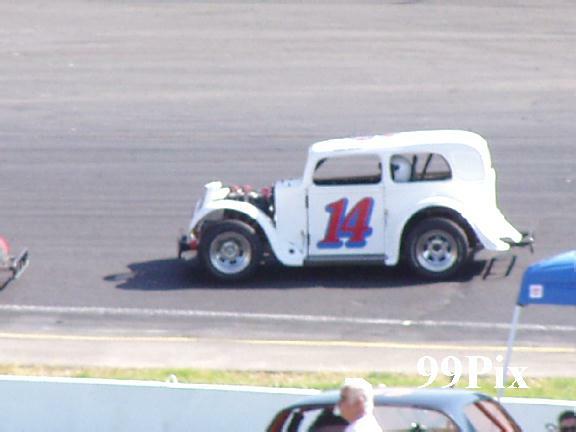 Byrd qualified at 14.655 seconds around the quarter-mile paved oval, second to #11, Chris Monez's 14.409 time. Byrd also was second in the trophy dash to John Moore of Granite Bay. "It's a great motor. It turns. It handles great," Byrd said. "It's very driveable." Guy Guibor, #61, of Manteca finished a career-best third. 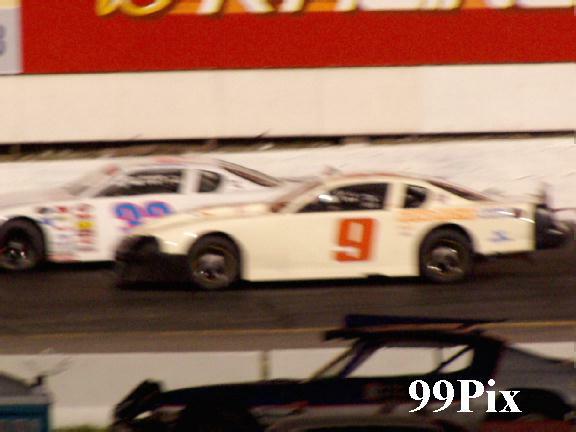 Jason Kerby, #2, of Galt was so far ahead on the 30th and final lap of the main event he thought he'd put the car sideways. 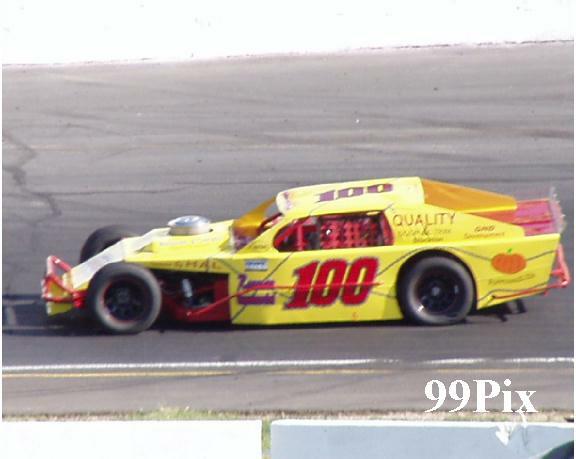 It looked like Kerby almost lost control, but he backed off the throttle, straightened the car and sped under the checkered flag a commanding 41/2 seconds in front of #10a, Jay Linstroth, the GAM trophy dash winner. "I was like, 'Yeah.' (The car) just didn't break loose like I wanted it to," Kerby said, adding that he didn't really come close to spinning out. "It still isn't where I want it. We're still fighting the handling." It didn't look that way from the grandstand. 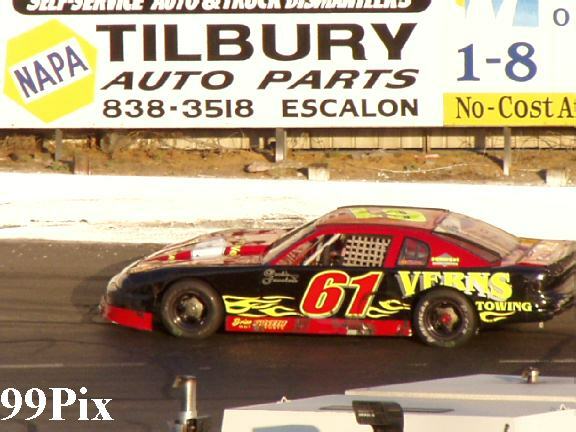 Kerby, who was second in the season opener, led from start to finish in a race that wasn't interrupted by a yellow flag. 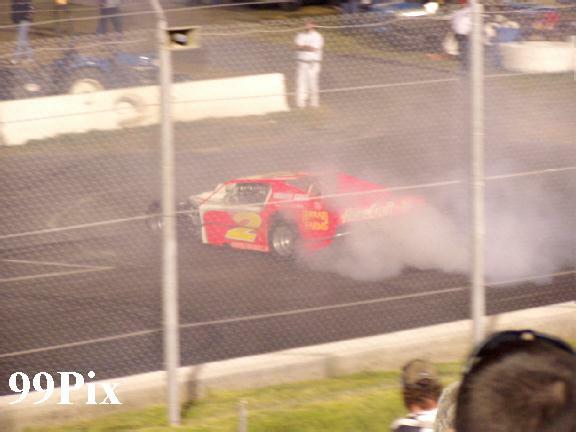 He led by 11/2 seconds through 10 laps, 21/2 seconds through 16 laps and 31/2 seconds through 23 laps. Linstroth, of Citrus Heights, had Angelo Queirolo, #100, of Ripon all over his tail for several laps in a battle for second before Queirolo's car had a problem. 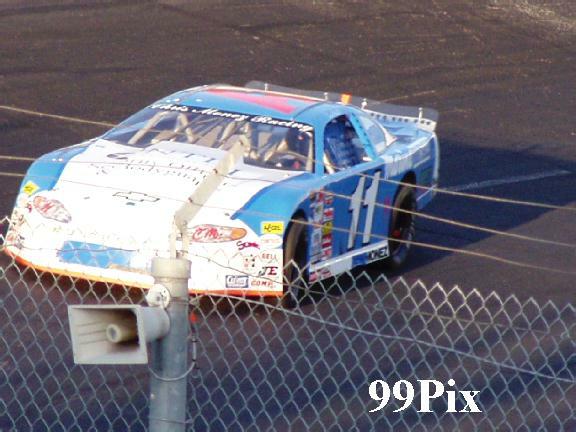 He missed the final four laps and finished eighth out of eight. 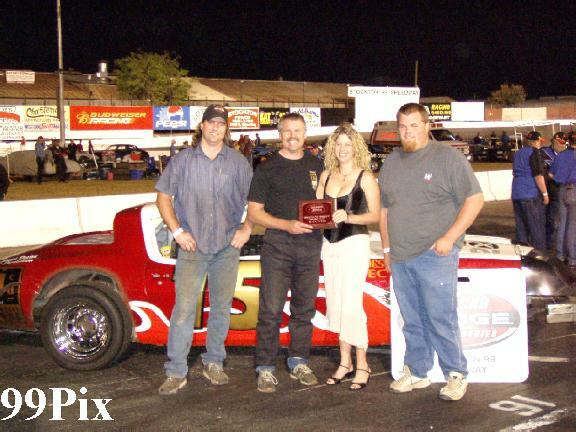 Charlie Clawson, #15, of Modesto set fast time at 16.789 seconds, won the trophy dash and captured his second consecutive 30-lap feature to record a sweep. 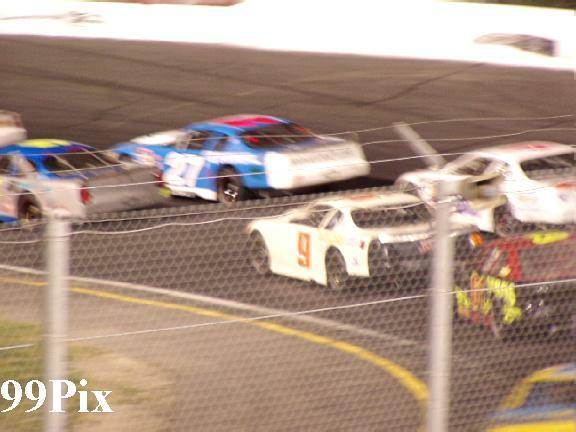 Clawson inherited the lead when Kannai Scantlen, #8 of Stockton and Boyd Camper, #4, of Manteca were sent to the back because of failed restarts on lap 18. Clawson led the rest of the way, followed by Jim Vosberg, #69j, of Stockton. 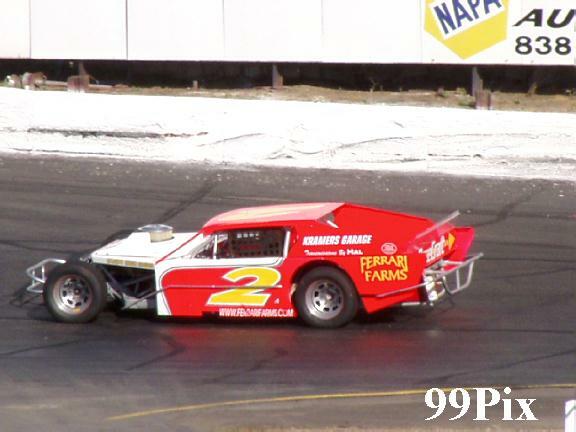 Clawson missed sweeping the season opener on March 27 when he finished third in the trophy dash. 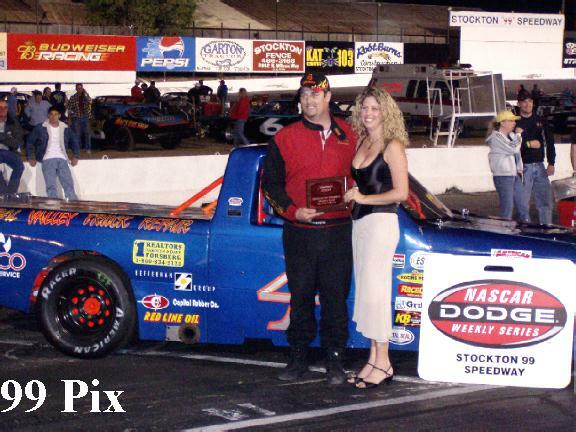 Brandon Trevethan, #4, of Tracy took the lead on the fourth lap of the 30-lap feature and drove to his third career victory. Defending class champ Carrie Miller of Saratoga trailed Trevethan by 21/2 seconds when she moved past Todd Lewis of Riverbank on the 16th lap. Miller shaved about a second off the lead in the final 14 laps but didn't threaten Trevethan, who also won the trophy dash. Frankie Winchel, #14, of Sebastopol passed Mark Bailey, #40, of San Lorenzo on the 21st lap and drove to the victory in the 30-lap main. Winchel set fast time at 15.778 seconds, a quarter of a second quicker than Bailey, then finished last in his heat.